The Breckenridge Distillery will host nine of the best bartenders from the U.S. and Canada for a national barkeep contest on Jan. 11. The Breckenridge Distillery will welcome nine of the best bartenders in the nation to the High Country on Jan. 11 for a grand finale called Punch Kings Last Call after they won regional barkeep competitions. The regional Punch King champions are set to take the stage at 4 p.m., when they will prepare their winning bourbon punch for eight judges while spotlighting the distillery’s award-winning bourbon. Meanwhile, the distillery will greet guests with a welcome punch from liquid chef Billie Keithley while competitors are preparing theirs. 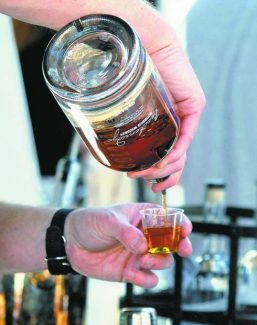 During the competition, guests will be offered punches crafted by the nine regional bartenders and small bites from the Breckenridge Distillery Restaurant. Only one bartender will be crowned the Last Call Punch King or Queen. Competitors are coming from New York, Los Angeles, Minneapolis, Chicago, Seattle; Canada, Austin, Miami and Denver.